What does an Early Intervention programme look like? Our Early Intervention programmes incorporate teaching techniques that use positive reinforcement to enable successful learning and shaping of behaviour. By finding rewards that motivate your child and tailoring a programme that will fit their specific needs, early intervention can help children with autism to develop communication skills and progress academically. By breaking down tasks into manageable stages and using appropriate prompts for an ‘errorless’ teaching experience, our programmes build confidence as well as learning. They also provides a structured way to tackle behaviour and sensory issues to help your child cope with the day-to-day demands that they find challenging. Our programmes are a positive experience for the whole family. The benefits of tutor sessions extend into all areas of family life and provide the support you need to create and maintain good family dynamics. The ‘common sense’ strategies help you to build on the tutor sessions in the course of your daily life, so you can play a key role in enabling your child to improve their communication skills and behaviour. Everyone can share in a sense of achievement as data gathered in tutor sessions shows real progress and improvement, and regular workshops ensure your programme keeps moving forward to cover new targets. At The Playhouse Foundation, all our consultants are Board Certified Behavioural Analysts (BCBA) or Trainee Behavioural Analysts mentored by a BCBA Advisor. 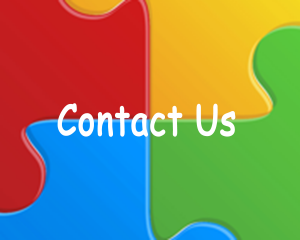 They provide Early Intervention consultancy services and training to school, pre-schools and families of individuals with autism and/or challenging behaviours.